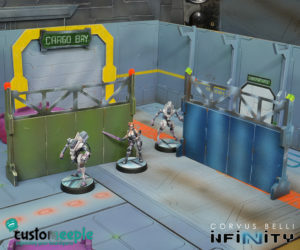 A base for Infinity the game. 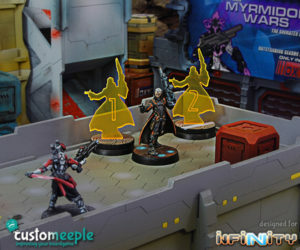 that integrates the arc of fire in the base itself. 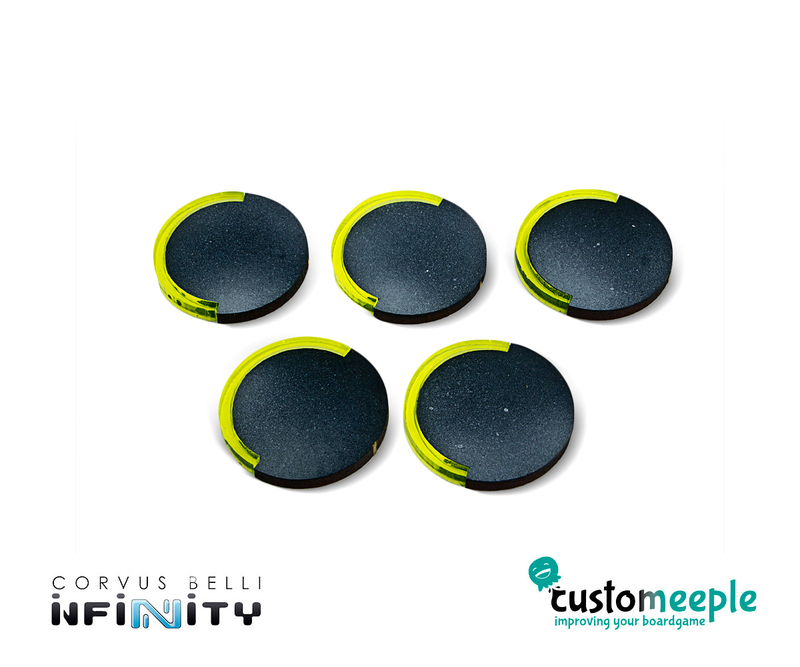 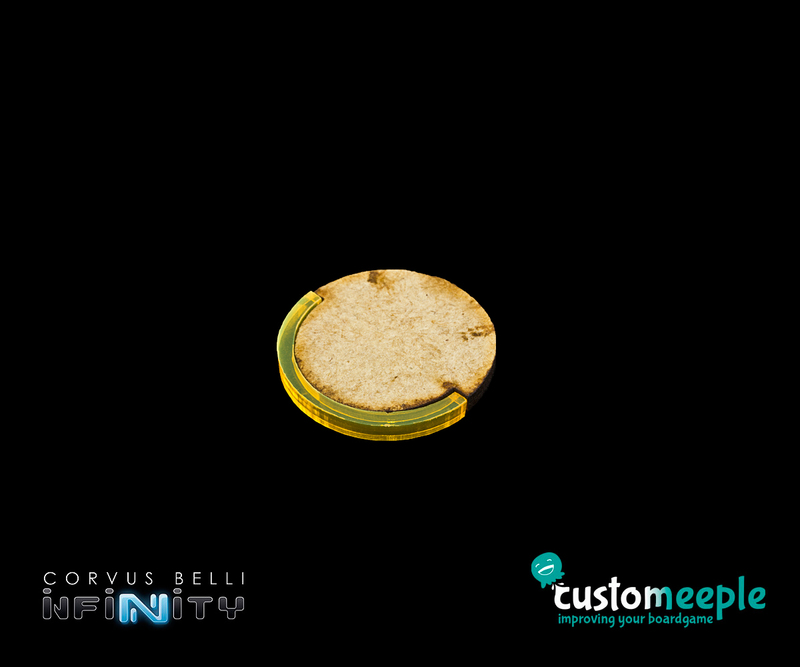 You can purchase the bases for any Infinity size: 25, 40 or 50 mm. 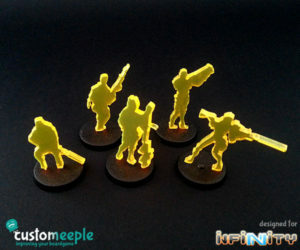 and choose the color of the acrylic piece. 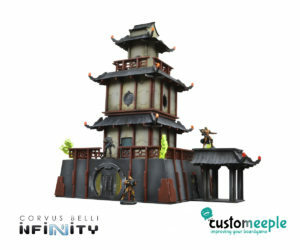 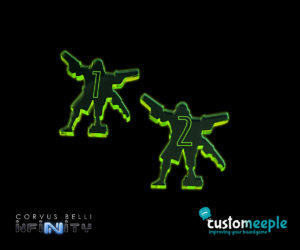 All the pieces are designed in collaboration with Corvus Belli to be fully compatible and adequate for Infinity the game. 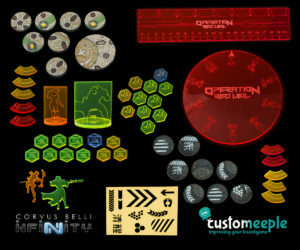 Take “Operation: Red Veil” to the next level with this Infinity Deluxe Pack.